If anyone is interested to be familiar with the culture and traditions of India, then weddings in India are the best destination for him/her. The bride is adorned with attractive bridal dress covered with eye-catchy jewelry and the groom also shines with wonderful wedding attires. Moreover, all the guests would also like to come as attractive as they can at the auspicious occasion. All these features are beautifully incorporated in the Jain weddings. The Jain community in India is less in number but it has been a traditional and historical part of Indian culture. Unlike most of the Indian weddings, Jain wedding is comparatively simple in nature. All the rituals and customs are conducted in smooth manner without any extravagant celebrations. 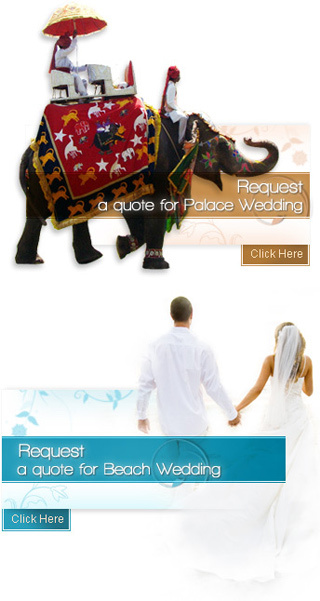 The entire marriage event is dominated by pre-wedding, wedding day and post-wedding customs. The rituals before the D-Day are conducted as Laghana Lekhan, Lagna Patrika Vachan, Sagai, Mada Mandap and Baraati & Aarti. The pre-wedding customs are followed by wedding day rituals such as Kanyadaan, Granthi Bandhan, Phere and Mangal Geet. These rituals are very important as because they are the processes of making two souls into one. That's not for all! In fact, the rituals also stretch after the marriage event in the form of Ashirvada ceremony, Sva Graha Aagamana, Jina Grahe Dhan Arpana and reception party. Hence, go through in detail about these various rituals in Jain weddings.